Weboob is a collection of applications able to interact with websites, without requiring the user to open them in a browser. It also provides well-defined APIs to talk to websites lacking one. Read messages on your favorite websites and feed the troll. It supports forums, newspapers, etc. Use your mail client to troll on your favorite websites! 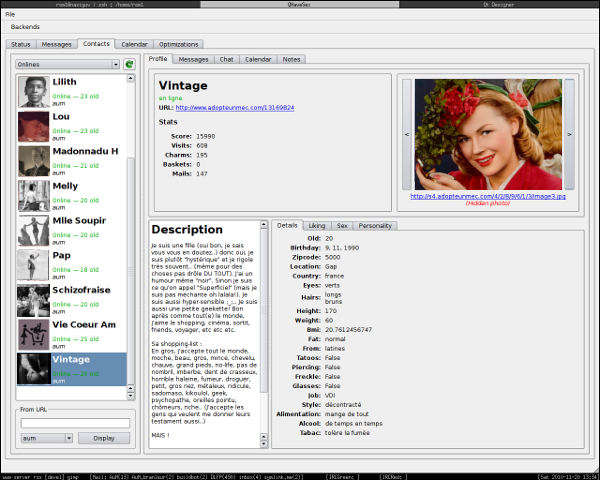 Search recipes, display details and pictures of te result, and export it in a readable format. Find videos on websites like YouTube, Dailymotion, but also YouPorn, and many others. 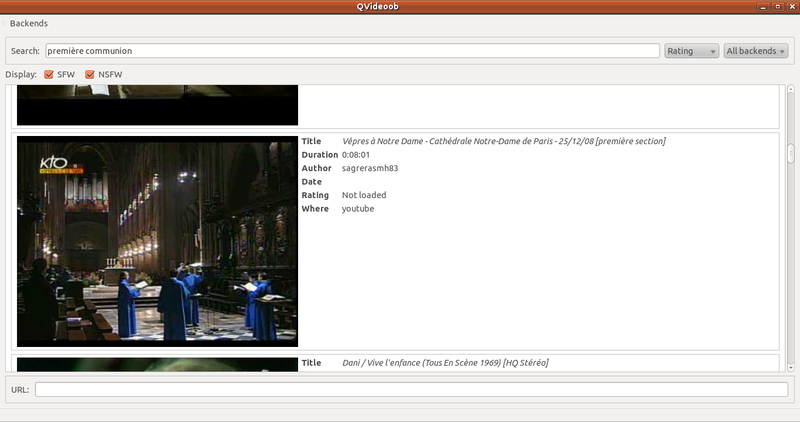 Enjoy the videos without Flash or Silverlight. 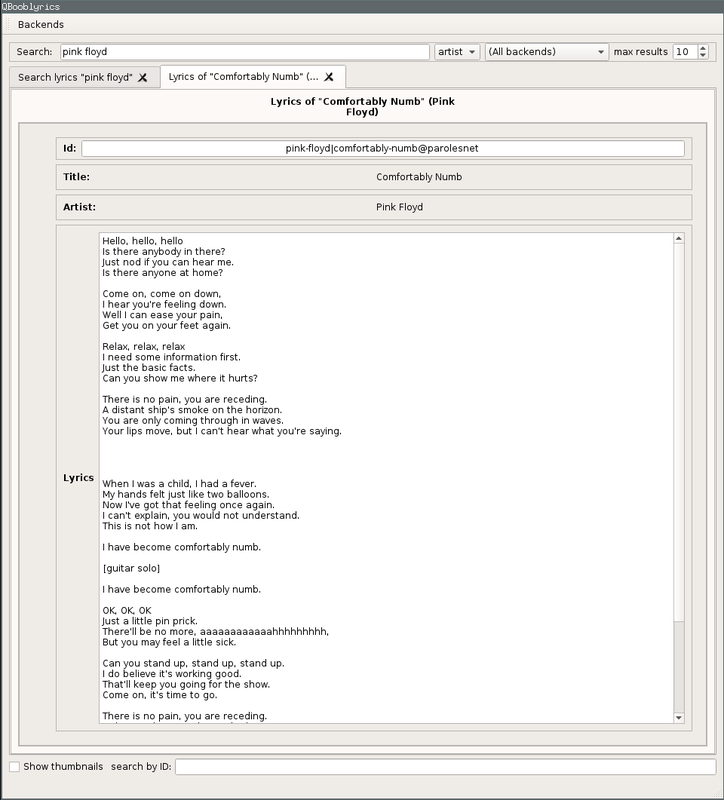 Lookup for your favorite songs and get their lyrics. 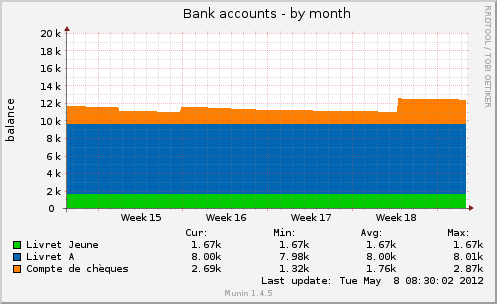 Watch the evolution of your bank accounts with munin. 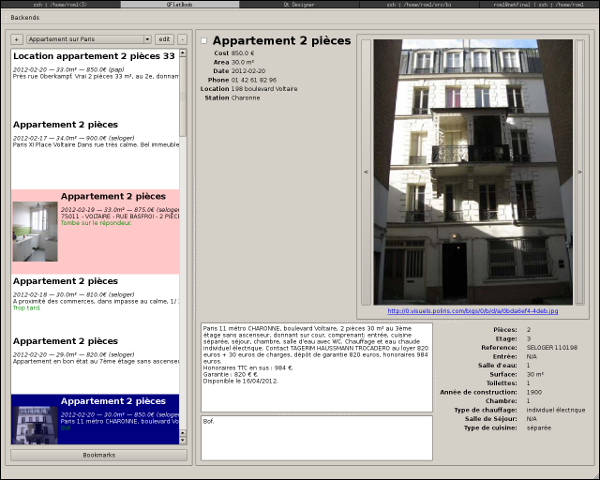 Find a home on housings websites, bookmark them, write notes, etc. 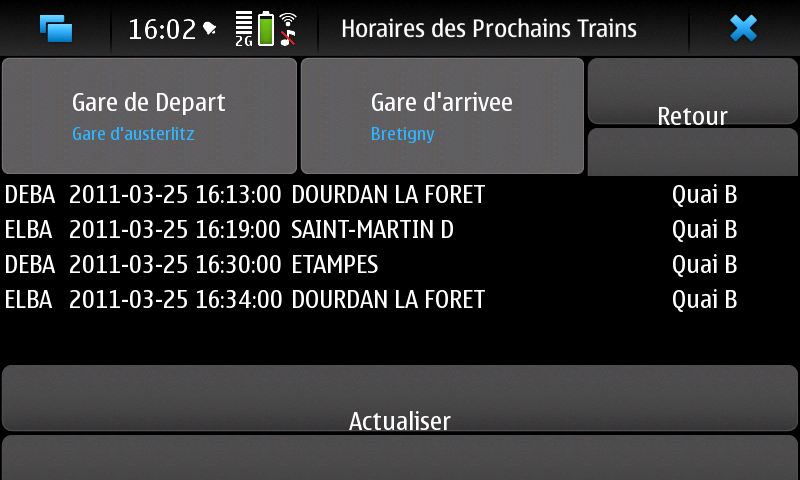 See the timetables of a train station on your Maemo phone. 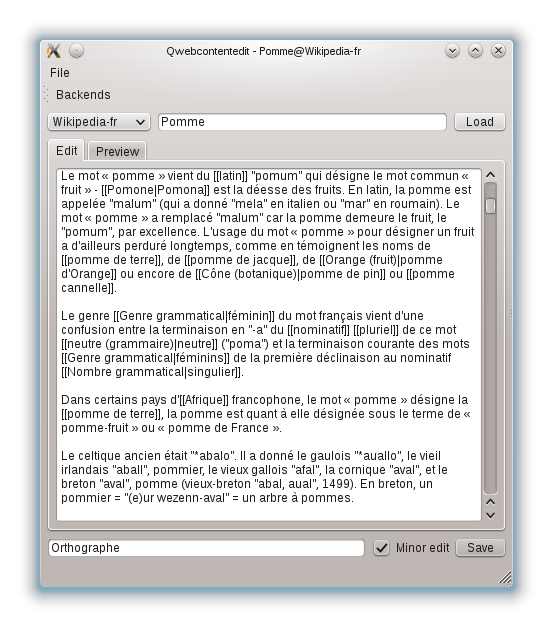 Edit MediaWiki articles (including Wikipedia) or other websites. Court beautiful girls (or guys) without much effort on major dating websites with this great software. You are unemployed? Use this application to search job offers! Search informations about movies and actor, as well that find subtitles and torrents for the movie. Send us an email at weboob@weboob.org. Subscribe to the mailing list and read the older threads in the archives.